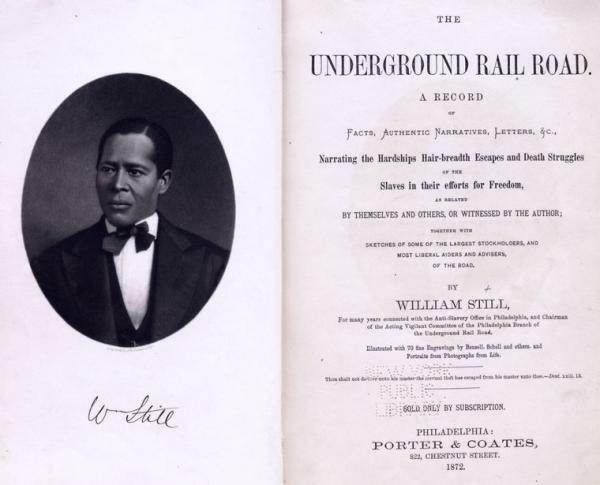 Front page of William Still’s The Underground Railroad, Philadelphia: Porter and Coates, 1872. A clerk for the Pennsylvania Anti-Slavery Society, William Still secretly kept accounts of Underground Railroad activities in Philadelphia. It was not until 1872, six years after the end of the Civil War, that Still published The Underground Railroad, the single best collection of accounts of African Americans who fled slavery in the decades before the outbreak of the Civil War.